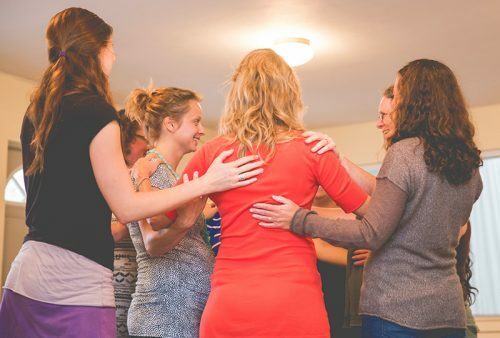 Womb Song’s mission is to ease the transition into motherhood through song, by building supportive community among women in all stages of motherhood (including those trying to conceive) as well as with birth-workers. In our community based singing circles participants learn simple, beautiful songs from around the world that reconnect us with our own voice and power. Circles begin with a simple meditation and vocal toning, followed by learning songs through an easy call and response format. No musical experience is necessary. Womb Song’s leaders are also available to offer music and song for mother blessings, baby showers and special events, as well as to sing during any point of your labor and birth. 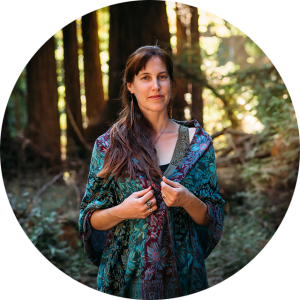 Training workshops and a manual are being developed to offer guidance for others interested in starting their own Womb Song circles and learning how to bring song into the birthing process. Please write us and join our mailing list to stay updated! While singing has been used for millennia around the world to support life transitions such as birth, the origins of modern day prenatal singing circles can be traced back to France in the 1960’s with the French physician Michel Odent. One can now find prenatal singing circles happening in many countries around the world. The name Womb Song came from Maya Waldman (http://singingforeveryone.co.uk/), a community musician and singer in the U.K. Through a grant, she created and led prenatal singing circles at Chelsea and Westminster Hospital in London. We are grateful for her generosity and support in helping bring Womb Song to the U.S.
Womb Song’s co-founders in the United States, Amanda West and Megan Jacobsmeyer, connected through a mutual friend and combined their passions for music, singing, motherhood and birth. They held their first Womb Song circle in Santa Cruz, California in January of 2014 and have been going strong every since. Megan Jacobsmeyer is a community leader and mother of two young children. 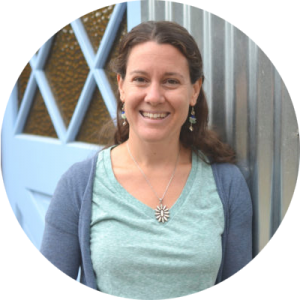 She is a credentialed teacher and is currently practicing as a Doula in the Santa Cruz Family Doula Collective . Her love for singing from the heart began with the first album she owned as a young child, Raffi. Since her teen years, singing has been a part of her spiritual practice. Singing and music were integral parts of her healing and recovery from Postpartum depression. Her passion for all things maternal began in 2003 when a college professor suggested she read Spiritual Midwifery, by Ina May Gaskin.